This eliminates those ugly extension blocks! 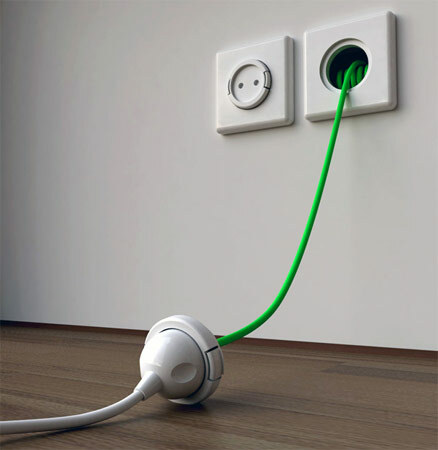 The Rambler Socket is an in-wall box that contains 1.5 meters of extra cabling along with a traditional AC outlet. Granted, you'll need a pretty deep wall to make something like this work (in theory, of course), but the result is nothing short of brilliant. If your AC cord is long enough, you simply plug it into the socket per usual; if you need a little extra length, the built-in extension cord pulls out with a gentle tug. Once you're done, you simply tug on the cable once more and watch as it recoils back within the wall.